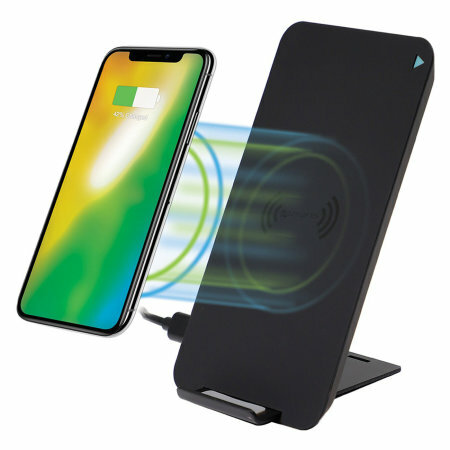 Charge your Qi compatible device wirelessly with the versatile VoltBeam Fast Wireless Charging Stand from 4smarts. Convenient, stylish and well crafted, the VoltBeam features dual coil technology for increased range and efficiency. You cannot just plonk your device on the charger,i have found it has to be moved about to find the charging position,also it will charge for a while then just stops and if you are not within hearing range you will not know. 4smarts voltbeam evo 10w fast charger. I thought it was probably a bit pricey,but as my last wireless charger broke down,I went for this charger,am so glad that I did. I can place my phone upright or sideon,it doesn't matter it still charges my phone. For once I've found a wireless phone charger which works every time without fussing around to get the phone placed just right. It packs flat for traveling and just works! This is probably the best charger I've ever used. An Easy way to find charger for phone , especially for us yearly challenged. All items sorted by what phone they will fit for use, and if anything else is needed. Whether easy to add or use with phone or not., need someone else to accomplish the.project.